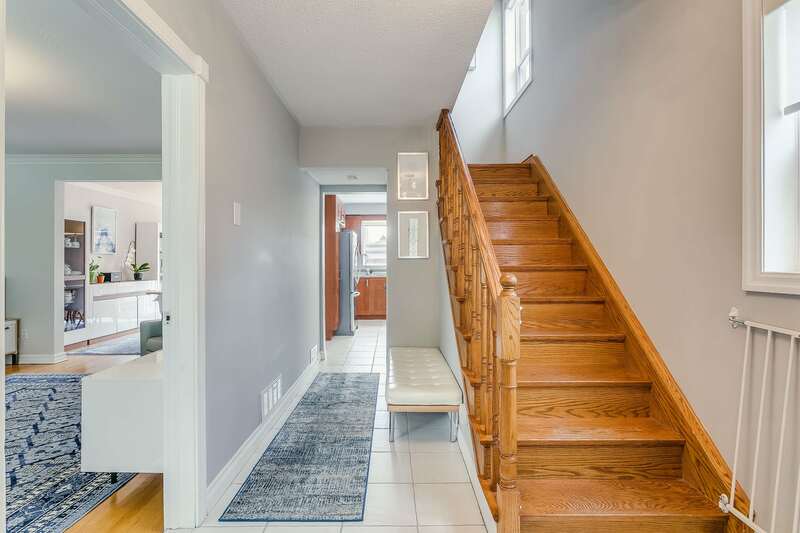 Absolutely nothing compares to a great Toronto home in charming Yorkdale. This residence would be perfect for a young family or an investor looking to rent it out. Two storeys of clean, well-maintained home, close to parks, schools, the TTC, and Yorkdale Shopping Mall. Even getting out of the city is a breeze, with the 401 only a short drive away. An oversized two-car garage opens into a gated, fenced-in yard (with both a new deck and a cute space for spending time in the garden), featuring security surveillance for that touch of comfort. Families will love the spacious rooms on the main floor. There is also a finished basement (with its own separate entrance). Check out my other featured Toronto homes for sale.